I’m Scott Shoup from Columbus, Ohio. I got #SuperHeroRipped, and lost 71 pounds, 22% body fat, and 10.5″ from my waist with Turbo Jam and P90X, forever changing my life and giving me the Beachbody I always wanted. Prior to beginning my transformation, I wasn’t in a very good place physically or psychologically. After developing bad eating habits as a wrestler in high school and then facing high levels of stress and a lack of physical activity throughout college, I had put on more than 70 pounds of fat, and I felt and looked miserable. This led to low self-esteem, suffering relationships with friends and family members, and I lost the passion and energy to live life to the fullest. My health had become very poor from being so obese, and I began to experience several health related issues. One in particular that served as a major wake up call was when my wife told me that I would stop breathing periodically in my sleep, and it terrified her. Combining that reality check with our fast approaching wedding date was the spark I needed to realize it was definitely time for a change. It was then that I saw an infomercial for Turbo Jam that forever changed my life. At first, even the introductory workouts had me out of breath since I was so badly out of shape, but within 3 weeks, I was keeping pace with even my favorite workouts. After 90 days, I lost nearly 50 pounds, 6 inches off my waist, and 15% body fat. The reward was a beautiful beach wedding and honeymoon in Jamaica. Our wedding was a dream come true, and the self-confidence and passion for life that came from my transformation made the experience so much better. I told my wife that I was ready for a bigger challenge, and I wanted to continue my success by getting ripped, so she bought me P90X for my birthday… what would turn out to be the best present ever!! The first few weeks of P90X were extremely tough, requiring me to dig really deep just to finish the workouts. 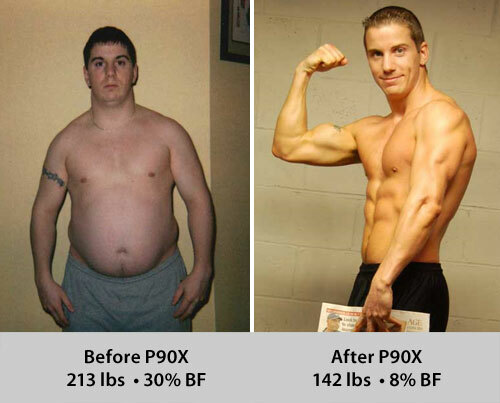 One of the most important aspects of the success I achieved with P90X was following the nutrition plan with no exceptions, and the supplements really helped me to keep Bringing It to maximize my results. After just 3 months of P90X, I lost an additional 20 pounds, another 4.5″ from my waist, and 7% more body fat. The snoring, sleep apnea, acid reflux, digestive issues, and pessimistic attitude are now a thing of the past. One of the sources of inspiration that helped me achieve my results was my coach, Robert Hudgens. 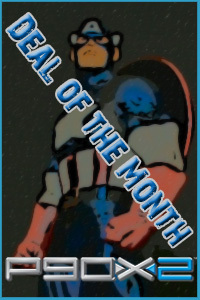 Being a monthly contest winner himself, he helped me see what was achievable with strong determination and focus. But more importantly, he taught me how to be a great coach for others who were seeking their own transformation. His guidance as a coach served as a foundation for me to inspire others and help them reach for their dreams. Since winning the monthly contest in August, I have remained determined to continue reaching for new goals and dreams that I gave up on at the peak of my obesity. Now on my 4th round of P90X, I built 10 pounds of lean muscle by increasing my workout intensity, I ran my first ever half-marathon, I enjoy many new fitness hobbies that have really enriched my life, I inspired my wife to commit to her own transformation (allowing our relationship to grow even closer), I launched a weight loss challenge at work (helping more than 40 coworkers lose weight), and I also fulfilled one of my lifelong dreams of returning to the mat as an assistant coach and nutrition advisor for my former high school wrestling team. I look forward to working out everyday and inspiring others to reach for their fitness goals. I am both humbled and amazed at the number of people who were inspired after seeing my results, both in how I look and feel, as well as in how it changed my attitude and quality of life. Being a mentor and coach to those who I have inspired has been one of the most rewarding experiences of my life. With my physical transformation also came a priceless change in life perspective, as I now recognize the things that are most important in my life and not to “sweat the small stuff” that really doesn’t matter in the big picture. As Tony Horton would say, I just “do my best and forget the rest”, and this simple commitment has carried over to all aspects of my life, allowing me to continue living each day to the fullest.